What is your landscape if not an extension of your home or business? If it is a healthy and beautifully designed space, then the landscape outside the building represents the character within. Whether that means expressing the character of your family or exemplifying your business' brand, good garden design in Alpharetta is not just attractive—it serves an important purpose. A perfect way to improve your property is with professional stone landscaping in Alpharetta. Beyond trees, shrubs, and flowers are beautifully textured stone pieces that can be both decorative and functional for your entire yard. What follows are 5 things that you should know about landscaping with stone. Some landscaping features, like false lava rocks or fountains, are only suitable for specific types of buildings. Because a landscape should reflect a building's character, you would be wise to pass on some unusual design choices. Stone, being a natural material, perfectly adorns any type of property. Whether you build a rock wall with vines, a pristine stone fence, or ruin-like passages through mature trees, stone can reflect the building's true character. Stone is a building block for a variety of landscaping features, including waterfalls and patios. However, stone does not only need to be introduced to a new landscape. Consider beautifying an existing landscape with decorative stone pillars, the occasional boulder, or even a rocky border for existing pathways. Alpharetta, GA, landscape designers can introduce stone in any part of the design or renovation process. "Stone" is a general term for a wide variety of hard, earthy materials. If you are considering the addition of stone features to your design, consider popular options like limestone or sandstone. For a distinct character, consider flagstone or slate. Talk to landscape contractors in Alpharetta about which stone is the most affordable and appropriate for your design scheme. Traditional features are what stone was practically made to create. 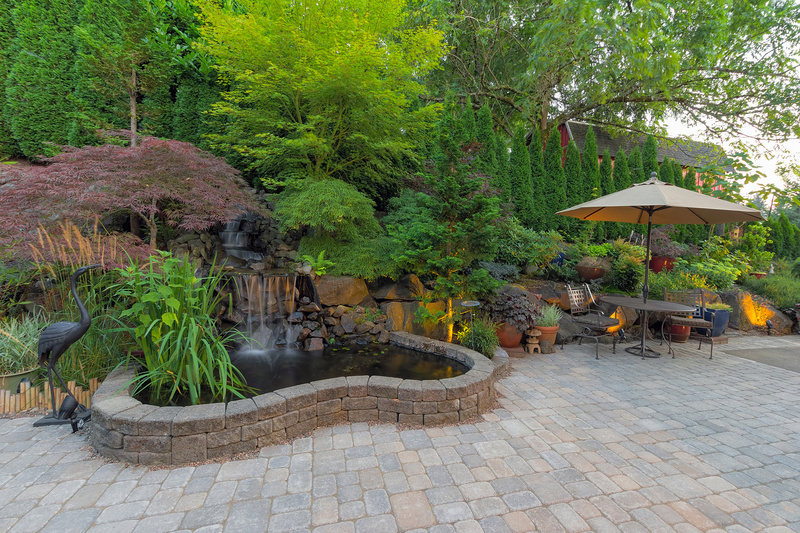 Finished patios, fences, or retaining walls are a stone's second natural habitat. However, do not overlook stone's ability to introduce personality into a landscape design in Alpharetta, GA. If your home has a youthful and independent character, consider introducing fire pits, cascading walls, or beds for succulent plants with the use of natural, high-quality stone. Unlike any manmade material, the earth produces building materials that can last forever. Stone requires little, if any, upkeep. Unless you fight to destroy your stone landscape, it will not show flaws, tumble, fade, shift, or crack. 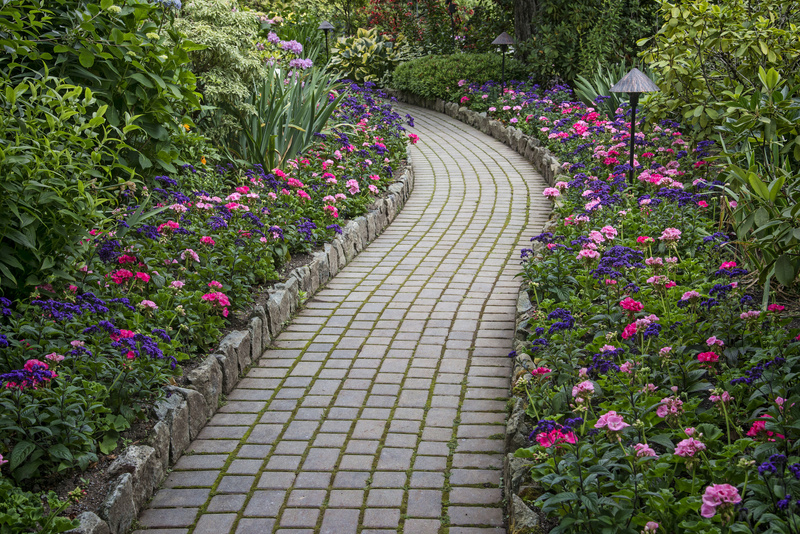 Stone pathways and walls may require occasional weeding, but in all other regards, these earthy materials take care of themselves. If you landscape with natural stone, your yard can last as long as the Roman ruins or the ancient Mayan temples. The beauty, versatility, durability, and functionality of stone landscape features cannot be overstated. When it comes to good design, stone is king. But which type of stone will reflect the true character of your home or business? How can stone improve an existing landscape or be the building block of a new design? Talk to a professional contractor soon about the numerous possibilities of stone landscaping in Alpharetta.